Most leaders left Council headquarters in Brussels without speaking to the press early Friday morning (15 December), after a heated, more than a two-hour-long debate over migration. European Commission President Jean-Claude Juncker and European Council President Donald Tusk did not hold a joint news conference, as they usually do at summits. “The discussion was fierce because the differences of opinion are still wide,” Dutch Prime Minister Mark Rutte said after the long dinner talks. “There’s no solution on how to find a consensus on the quotas,” Rutte added. Luxembourg Prime Minister Xavier Bettel told reporters afterwards “it is dangerous to think we can do without a permanent mechanism”. The leaders will meet again on Friday for discussions on Brexit and the economic and monetary union. Tensions have been flaring between the Commission and Council after Tusk called the Commission’s proposal for mandatory quotas to distribute refugees between EU countries “ineffective” in a letter to heads of state and government. Tusk, who is a former Polish prime minister, asked the leaders to agree on a solution by June 2018. 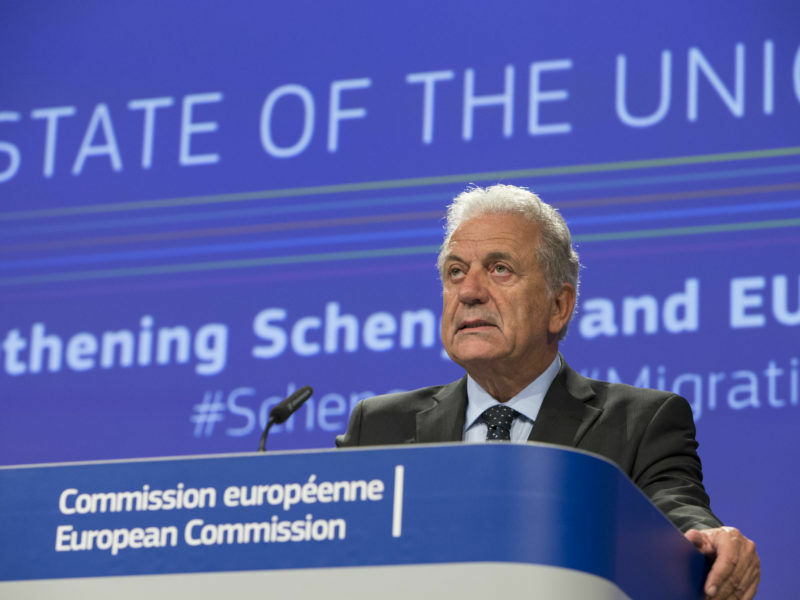 That did not go over well with the Commission: earlier this week, EU Migration Commissioner Dimitris Avramopoulos slammed Tusk’s letter as “anti-European”. In a brief statement to journalists as he left the summit on Friday morning, Juncker said the leaders “controversially discussed” Tusk’s proposal. One EU source said that the phrase “anti-European” did not come up during the “sober and frank” debate on migration. The source also said the summit was a “window of opportunity” to discuss the EU’s response to migration from the Middle East and African countries because the number of people arriving in Europe has dropped since the crisis peaked in 2015. But even the lower number of refugees did not help the leaders overcome their disagreements. They are divided over mandatory quotas, with southern countries, including Italy, wanting every member state to be required to take in refugees while some eastern countries oppose them. The Commission first introduced quotas in 2015 to help Italy and Greece manage a wave of asylum seekers. 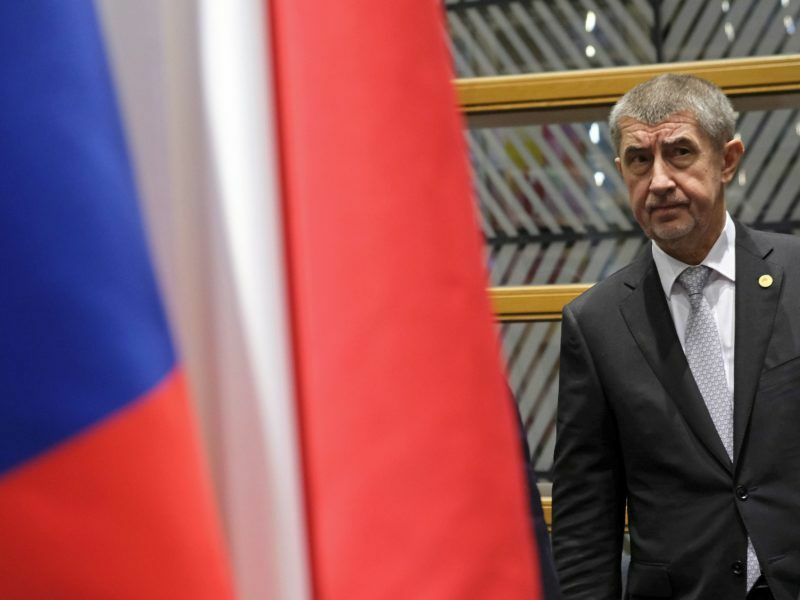 Just last week, the EU executive referred the Czech Republic, Poland and Hungary to the European Court of Justice for ignoring the quota to relocate refugees from Italy and Greece. German Chancellor Angela Merkel was dismissive of Tusk’s proposal to reconsider the quota system. “I made it very clear that I’m not pleased with the simple statement that the rules we’ve put in place up until now don’t work. We still have a lot of work to do here,” Merkel told reporters as she left the Council building. She also did not hold a press conference. “Solidarity cannot only have external dimensions, it also has to exist internally,” Merkel added. Germany took in more than one million refugees in 2015. Some leaders expressed support for the Commission’s work to slash the number of migrants arriving via the Mediterranean. Outgoing Austrian Chancellor Christian Kern praised Italy, the Commission and Merkel for crafting a project to cut migration from Libya and for a 2016 agreement to reduce migration through Turkey. Kern said the lowered migration figures removed some pressure from the debate over quotas, but he admitted that “there is still no comprehensive approach, to put it nicely”. Earlier on Thursday, prime ministers from the Visegrad countries of Poland, Hungary, the Czech Republic and Slovakia pledged €35 billion to support the Italian-led programme to cut off migration from Libya to Europe.
.@JunckerEU met @PaoloGentiloni and Prime Ministers of Visegrad Group. -Visegrad countries contribution 35mil€ to the Africa Trust Fund part of the joint European solution to irregular migration. In a statement, the group said the financial commitment reflects the countries’ willingness to address migration by stopping its root causes. The group has opposed quotas mandating how many refugees each EU member state should take in. One EU source said the commitment from the four countries was important but will likely not be decisive in the debate over quotas. Italian Prime Minister Paolo Gentiloni said when he arrived at the summit, “We will continue to insist that a commitment on the relocation of refugees is needed,” according to a translation published by Reuters. More than 7.000 refugees in the Greek island of Lesbos know that something is not working with the EU’s response to migration. 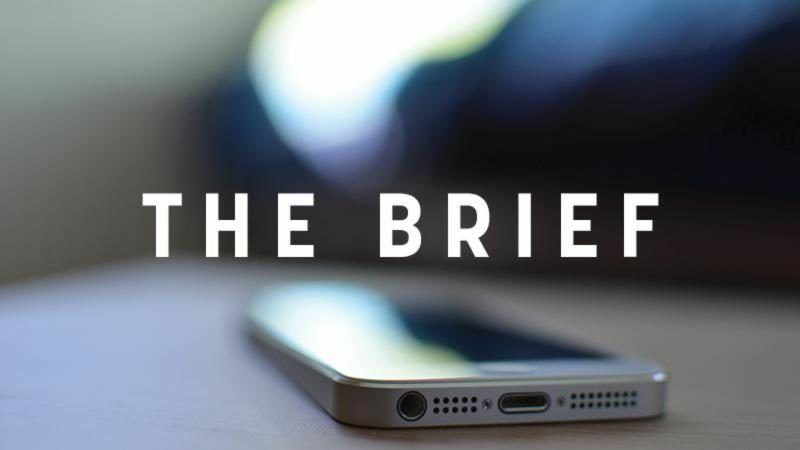 While they weather winter temperatures in summer tents, with capacity for only 2,300 people, European leaders will hold tomorrow the eleventh discussion over a fancy dinner to try to fix one of their biggest dares, and yet unresolved. 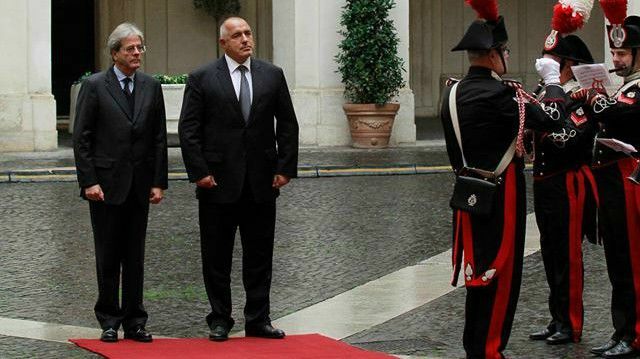 Asked which side Bulgaria is, between abandoning the mandatory migrant quotas as Council President Donald Tusk proposed, or maintaining them, Bulgarian PM Boyko Borissov said his country was in a delicate situation as future holder of the EU presidency. The right answer, he said, was that the EU should at act as a geopolitical player. He repeated rhetoric he developed during a visit to Italy on 14 November. 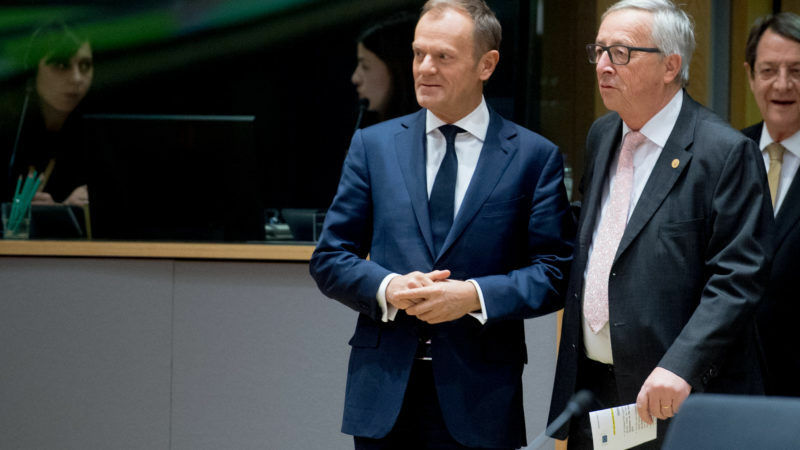 “What is the controversy between Tusk and Juncker? How and at what cost we should receive more and more migrants? They [the big geopolitical players] wage the wars, they take advantage of the oil reparations, and the rest of us will fight each other over how much money to allocate and how many migrants we should receive? It is obvious that people, especially in the front-line countries, don’t like this”, he said. He further said that this trend was damaging to mainstream political parties, that it was leading to wonky coalitions, finally formulating his receipt to stay out of the harm’s way, namely that external borders should be kept “in the same way as before”. He said that those who fight wars for which Europe is responsible should receive the protection they deserve, but the economic migrants would be stopped and “will be received where they are wanted”, hinting that some EU countries needed such migrants and others didn't.